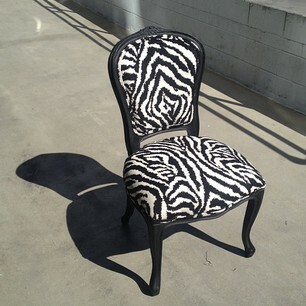 Meet Our New Neighbor: Save My Seat Custom Upholstery! In the two years since we opened, we have been staring at the empty storefront across the hallway and wishing for a cool neighboring merchant. Our dreaming and hoping finally paid off! Lauren from Save My Seat lives in the neighborhood and is looking forward to offering The Richmond District her custom upholstery services. 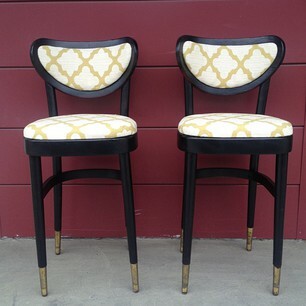 In addition, she’ll be selling handmade pillows and vintage furniture she’s rehabbed. Plus she has a cute shop dog named Pilot! We are so happy to have another small business across from us that is locally owned, values great design, and is environmentally conscious. Stay tuned for details about the grand opening party in early April! We’re super stoked for the new Clement Street Farmers Market! Foggy Notion will be opening (and closing) an hour earlier on Sundays. New SUNDAY Hours: 11 a.m. – 6 p.m.
Expect some fun pop-ups on Sundays coming up! We’ve been busy working on our new website (coming soon, promise!) and planning some spring events. Mark your calendars for May 18th for the city-wide Sidewalk Stroll. We’ll have tons of local vendors in front of Foggy Notion including vintage clothing and housewares by Heritage Mercantile and Our House Vintage, tea blends by the Richmond District’s Fox & Moon, jewelry, food, and more. Businesses will be participating all up and down Clement Street as well, so expect a festive and fun party! Also Foggy Notion owner Alissa Anderson is now a board member of the Clement Street Merchants Association. 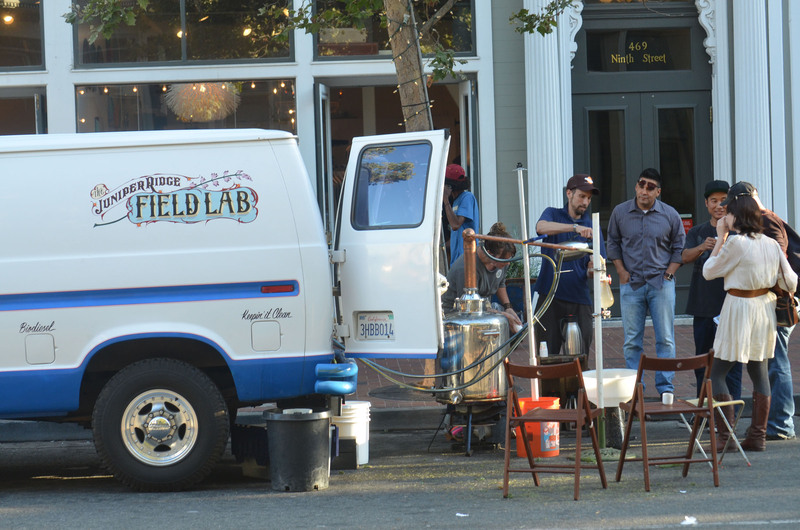 With the help of Supervisor Eric Mar’s office, projects underway for 2013 include a parklet on Clement Street at 3rd Avenue, a farmers market, Sunday Streets in late October, and the 3rd annual ClemenTime in December. Check out CSMA’s Facebook page for more neighborhood news and events! We’re here to serve your local holiday shopping needs. 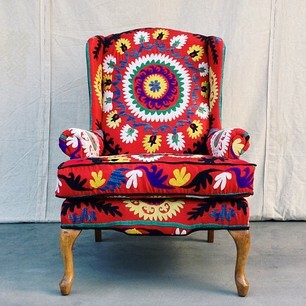 Our dear friend Robyn Miller is relaunching her vintage clothing line as HERITAGE MERCANTILE! Keep up with us on Twitter and Facebook for more detailed updates. Juniper Ridge Field Lab – Saturday, Sept. 29, 1-5 p.m.
We’re happy to announce that Juniper Ridge’s Field Lab van will be parking in front of the shop for a LIVE afternoon distilling session of essential oil. What happens? They bring their copper still and a bunch of sage, redwood, pine or other wild harvested plants, and make essential oil on the spot while sage & mint infused drinks and talking about what they do. It’s super fun! More details announced soon and surprises, too! 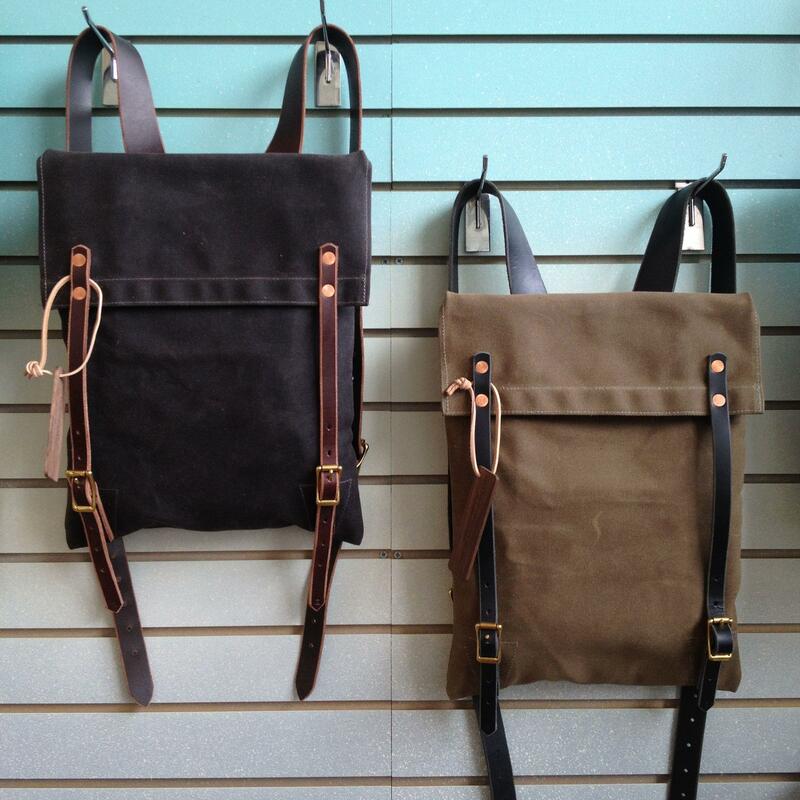 So many new bags in the shop for fall, many from San Francisco and Oakland designers: purses, backpacks, totes, minis, and more. Foggy Notion is now opening/closing one hour later on Wednesdays and Thursdays and will be open an additional hour on Sundays. 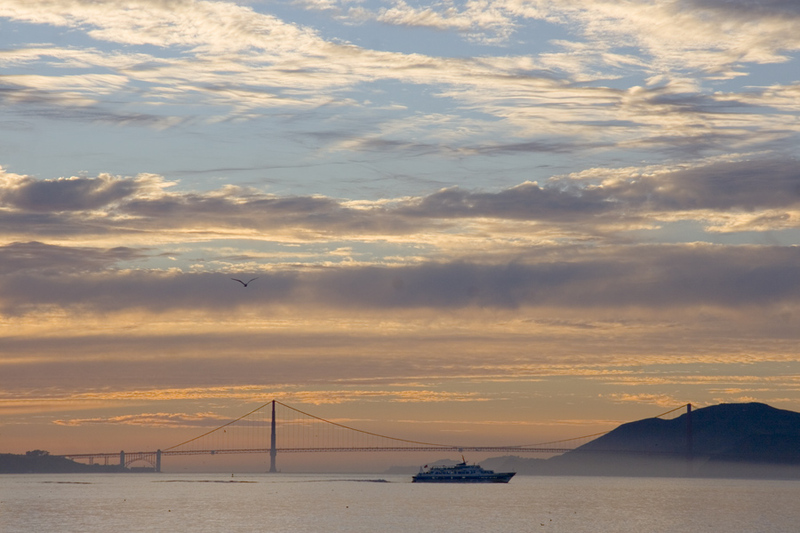 Our new hours are 12 – 7 p.m. Wednesday through Sunday. If you’d like to come at another time (before noon or after 7) we are very flexible. 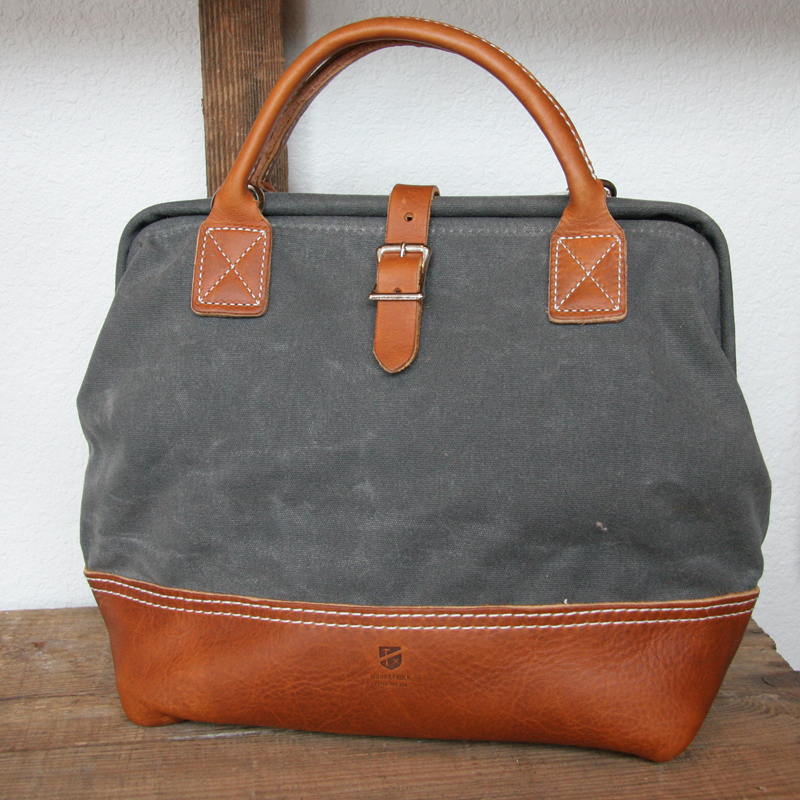 Just give us a holler at: info@foggy-notion.com and we will do our best to accommodate your shopping needs. Thanks for your support! 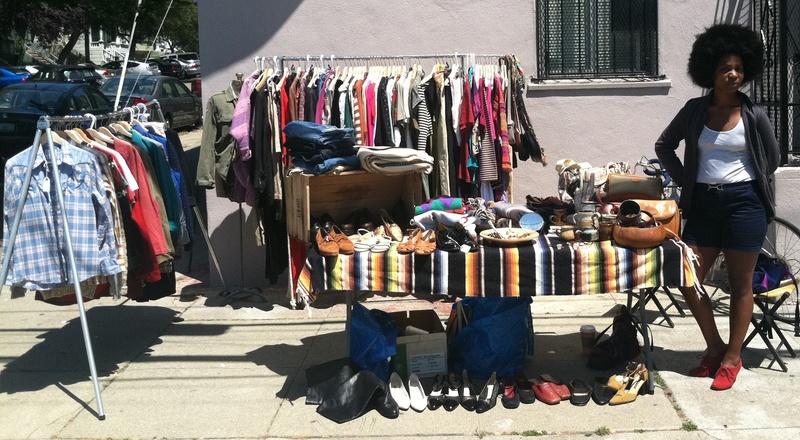 Our Earth Day party was such a blast Little Eagle Vintage will be bringing more clothes, shoes, and jewelry to the Inner Richmond for another pop-up. SUNDAY APRIL 22, 12-6 p.m.
Robyn Miller will be hosting a vintage pop-up store with men’s and women’s clothing and accessories as well as jewelry from her gorgeous line called Crystals & Leather. You might also know Robyn through her amazing music Big Eagle. Andy’s an avid record collector and DJ who tracks down the best record shops around the world while touring with his band Vetiver. He’ll be selling records in a variety of genres, some cheap fun stuff, some rare finds, all definitely worth checking out if you love collecting records. All mittenmaker handmade jewelry 25 – 50% off. Made right here at Foggy Notion from recycled and vintage objects. Complimentary Mimosas and other champagne cocktails. 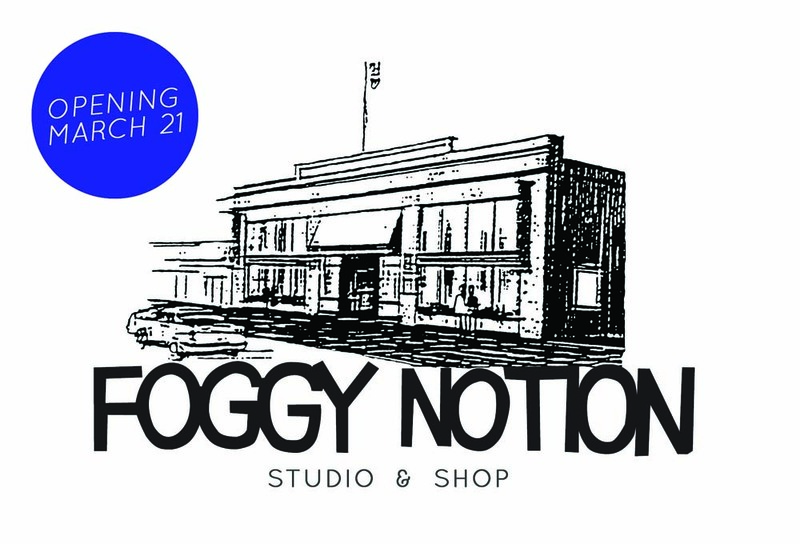 Foggy Notion will be opening on Wednesday, March 21! The vernal equinox is an auspicious time for new endeavors, marking the planting of seeds, an abundance of warmth and growth after winter’s cozy hibernation, and an increase in light and energy. 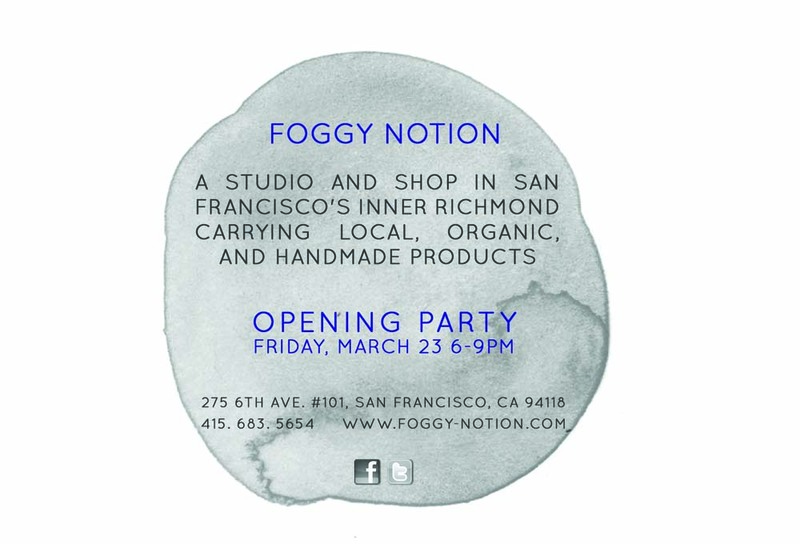 Mark your calendars for FRIDAY, MARCH 23 for Foggy Notion’s Opening Party. More details will be announced in the next few weeks. Until then, the shop will be undergoing some physical changes. Finding the right person to help turned out to be easier than I thought…my buddy Drew Bennett. Definitely check out Drew’s website, it’s packed with all sorts of great stuff. 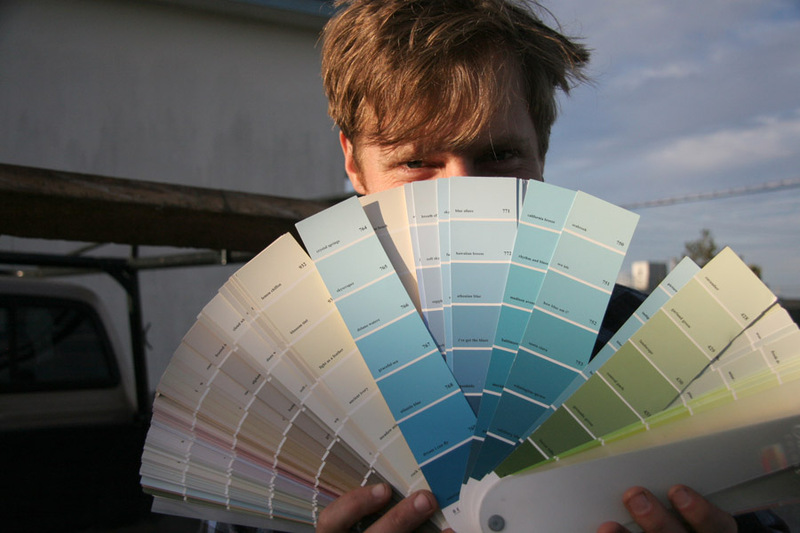 Drew’s work spans drawing, painting, woodworking, sculpture, furniture, and installation. More recently he’s been designing and building custom retail fixtures at places like A&G Merch, Goorin Bros. North Beach store, and Beachside. His enthusiasm for turning ideas into realities is completely inspiring and contagious, and his energy has made this project so much fun! 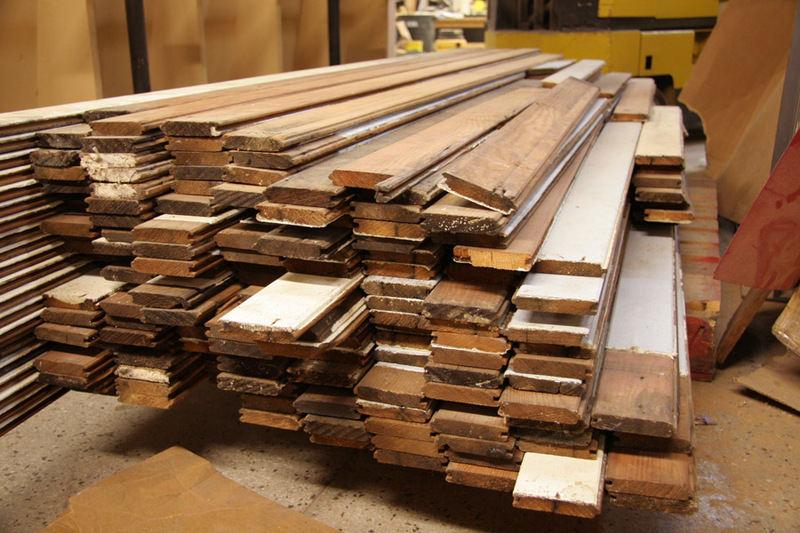 My personal work has always been based on reuse, so using reclaimed wood to customize the shop was imperative. From sourcing to prepping, it can be much more labor intensive than using virgin wood, but fortunately Drew and I share the same philosophy regarding reuse. For the counter, he found this beautiful pile of Doug Fir in the Mission. It has such a pretty tone. That, along with some chunky redwood slabs, will be the counter! 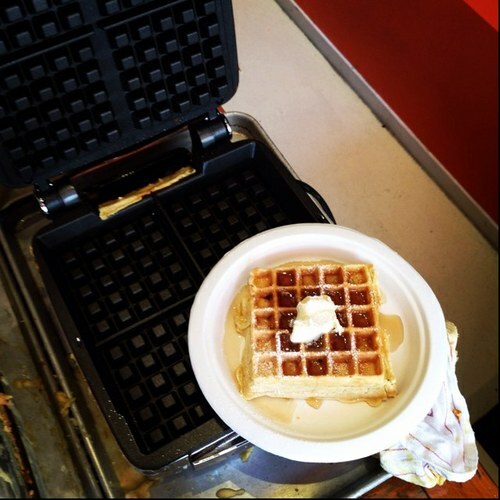 Everything else…well you’ll just have to wait and see. 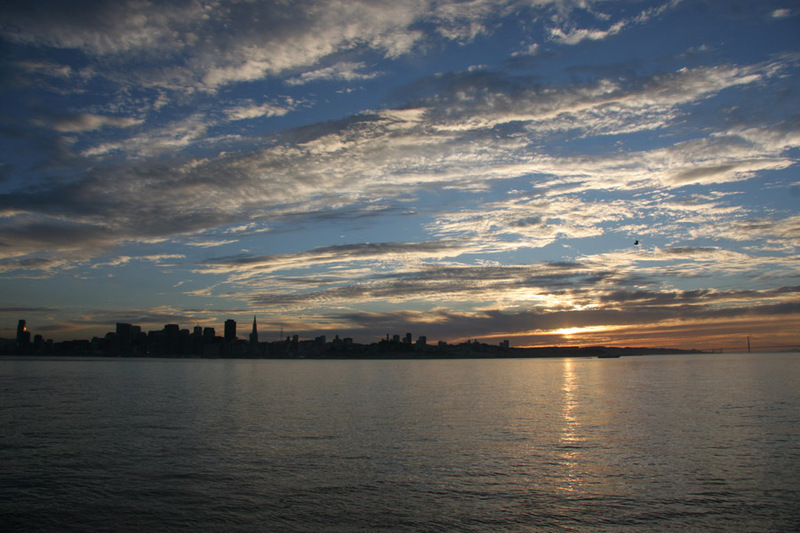 Almost everything will be built in Drew’s funky and spacious studio on Treasure Island, which has some of the best views in the Bay. What an inspiring spot to work!